Will It Get Sweeter For Digital Payments? The digital payments industry in India has grown tremendously since demonetisation and is continuing to grow at a steady pace ever since. The increase in the number of mobile wallet users has significantly added to the overall growth of the sector. With emerging digital platforms and upcoming technologies, this number is bound to only grow further. Let’s take a look at some of the digital trends that are guaranteed to play a vital role in the future of online payments. Block-chain technology has revolutionised the face of online payments by providing both the consumer and the seller with a fool-proof digital ledger of the transactions between them. This cutting-edge technology works by transferring online money in a block and chain method only after receiving authorisation by all the parties on the network. For example, if A is transferring money to B, the digital currency is recorded online as a block. This block is then notified to both A and B. Once approved, the block is recorded in the chain of previous transactions that have occurred between the two parties before getting credited in B’s account. It provides an encrypted database of all the transactions between two individuals or companies, eliminating the need for a middleman. It is an authentic and secure mode of payment that requires approval from all parties for successful transfers. It is one of the quickest modes of money transfers due to the lightening-fast block-chain algorithm and can be used to make global payments. Artificial Intelligence has taken the online space by storm, and the platform of digital payments is no exception. The plummeting computing power costs coupled with the efficient and speedy transactions brought in by artificial intelligence has led to a ‘Bot Boom’ in the fintech industry. Chatbots are also constantly evolving to enhance customer satisfaction and digitise payments completely with a varied suite of tools and applications like machine learning and language processing. The recent demon of demonetisation has pushed India towards a more digitised economy. Cash-based transactions are being rapidly replaced by mobile wallets and payment gateways. These cashless proceedings are a huge trend in the fintech industry with a higher number of varied digital payment solutions emerging in 2018. Additionally, the introduction of 4G networks and the game-changing power of Jio are guaranteed to create a huge impact on online transactions in India. The growth of the Internet revolution in India has also led to significant consequences in the rural population of the nation. Introduction of various government-aided policies and schemes has paved the way to an increased online banking facilities for the rural market. For example, the revolutionary Bharat Interface for Money (BHIM) app helps in performing cashless transactions with the help of your Aadhaar card. Another next-gen payment system is that of Unified Payments Interface (UPI) in which you can transfer money through your smart phones via a two-step authentication process. The introduction of RuPay cards by the National Payments Corporation of India (NPCI) has added a more structured approach to the digital payment solutions of the nation. These money cards are named after the amalgamation of the words ‘Rupee’ and ‘Payment’ and were launched with the sole purpose of replacing international cards like Mastercard or Visa. State-owned banks are now obliged to issue RuPay cards to their consumers, which are valid across all the ATMs and POS devices used in the country. How organisations can benefit from RuPay cards? Reduced costs: RuPay cards offer subsidised transaction costs and processing fees, making it the go-to mode of payment, especially for international transactions. Secure payments: The gateway is safe and secure with efficient operation and SMS alerts for every transaction, to ensure authenticity and avoid fraudulent activity. The government launched the DigiShala channel as one of the initiatives to digitise India. This 24-hour channel was introduced with the sole aim to target the rural and suburban masses and has recorded a stunning viewership of over 2 crores. 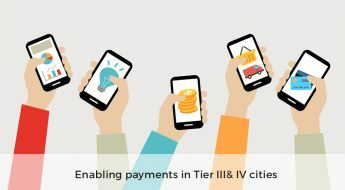 The channel will focus on educating India about digital payments with deeper insights on Unified Payments Interface (UPI), the BHIM app and other electronic wallets. DigiShala can also be accessed via a government-run website, www.cashlessindia.gov.in, to help citizens understand the concept of digital payments. The fact that the government is taking up a plethora of such initiatives to make sure all citizens are on the same page when it comes to digital payment gateways is proof that the concept of going cashless is going to sail strong in the upcoming years. DigiShala is currently available in English and Hindi and is venturing into many more regional languages for the benefit of the viewers.